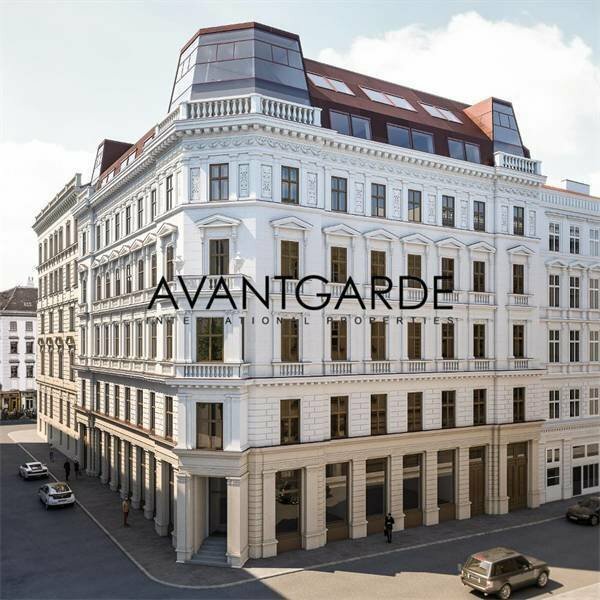 This very representative Wilhelminian style building convinces especially with its excellent location and the great accessibility in Vienna's inner city. It is located in immediate vicinity to the Stadtpark, the top sights and shopping streets, between the noble hotels Ritz Carlton and Imperial. Only a short walk to several museums or the State Opera, these unique and luxurious apartments offer a great flair. A spacious and representative entrée, the inner courtyard with modern design, a spacious wine cellar and also the in-house garage are only a few of the many features that distinguish this property. Ceiling-heights of up to 3,80 m create a wonderful living ambience for the residents. Exquisite materials and finishings are available for selection which can be individually adjusted to the interior design and modern smart home functionalities offer a distinctive comfort.